So, there you go. 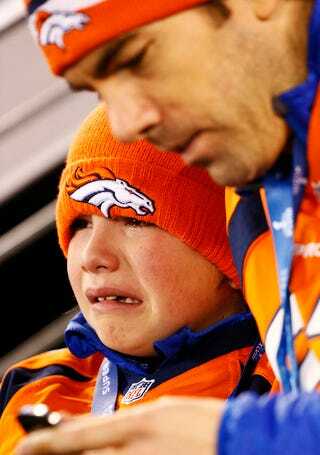 Though it was taken in the second quarter, this photo of a young Broncos fan crying as dad checks his cell phone is as lasting a Super Bowl image as we're going to get. Below, some more photos of depressed Broncos fans from both Getty and AP Images. We have a feeling there'll be a lot more to add by night's end.